The nights are getting cooler and the days are getting shorter. That means it’s time to think about closing your pool to winterize it for the winter. The best time to close your pool is after the daytime temperatures are below 65 degrees. That’s because the lower temperatures help prevent the growth of algae and can help the water stay clearer longer. 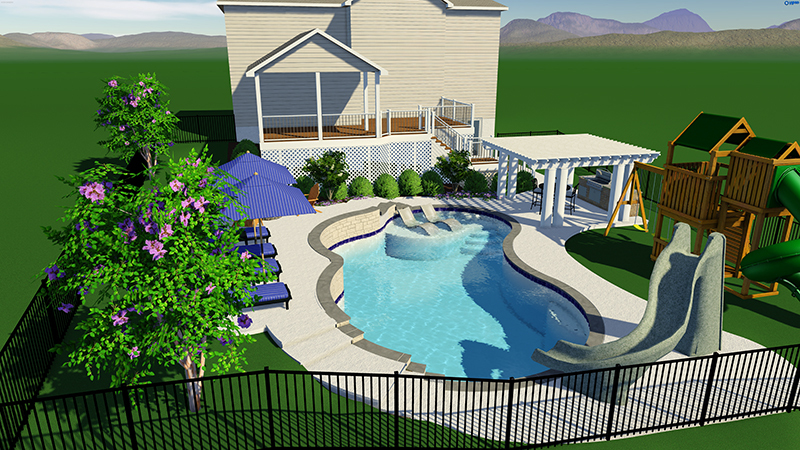 Knowing how to winterize your inground pool is important. You’ve made an investment in your pool, and you want to protect that investment. We’re biased, so we would say the best way to protect your pool is to work with a professional pool care company. But even if you are going to hire a company for your inground pool closing and pool winterization, you should still know the basics of what is involved. An automatic pool cleaner can do a good job of this, but you will want to use a pool brush with a telescoping handle to get into all of the nooks and crannies. Then you’ll need to vacuum up or remove any debris. Use a test kit or have the pros do it. All of the levels (pH, alkalinity, etc.) need to be properly balanced in order to help protect your inground pool from corrosion and scale build-up over the winter. The chlorine needs to be below five parts per million. If it’s higher than that, it may destroy the winterizing chemicals you’ll be adding before they have a chance to work their magic. The following are among several chemicals typically added to pools before closing them for the winter, but every case is different. You don’t drain your inground pool before winter, but you do need to lower the water level to prevent freeze damage. The water level should be below the tile line, or below the bottom of the skimmer, whichever is lower. 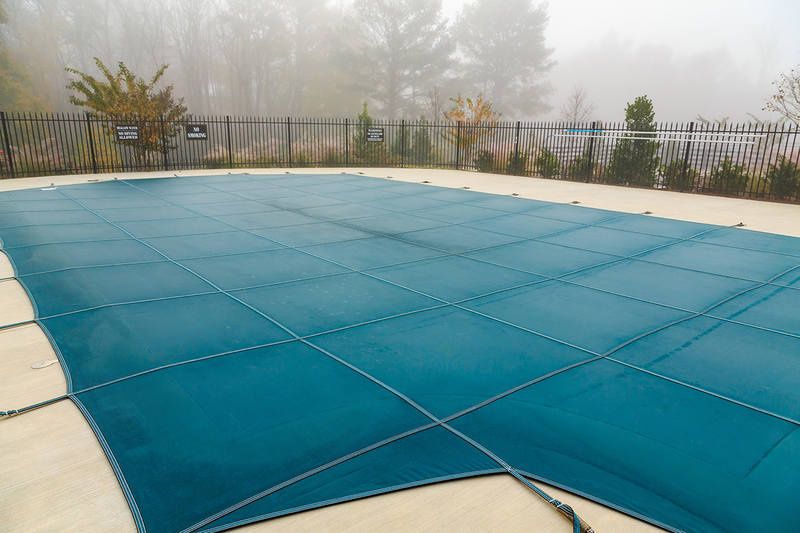 Follow the manufacturer’s instructions for your winter pool cover regarding the exact water level you need. The pool water helps support your pool cover, and the weight of snow. The water level should not be allowed to drop too low, however. You may need to add water or drain water to keep it at the appropriate levels. 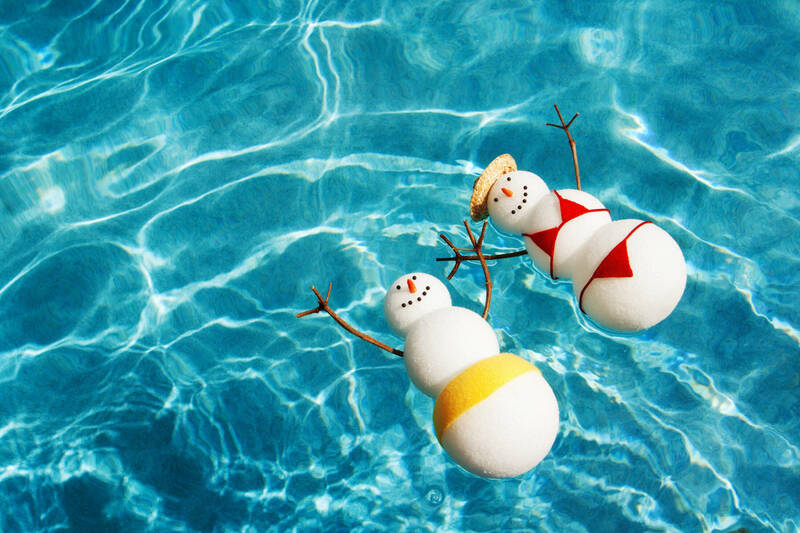 Some pool service companies will do this for you during the winter months. Clean the pool filter following the manufacturer’s directions. Drain all of the water out of the pool pump, pool filter and pool heater, if you have one. Since Maryland winters get below freezing for most of the winter, it’s vital that you drain every drop of water from the pool plumbing lines, filer and pump. This will prevent the formation of ice, which can cause fractures in the plumbing. Even if you do every other pool closing step yourself, this is where it really pays to hire a professional. This process involves blowing compressed air through the plumbing, and if you don’t know what you’re doing, you could cause serious damage. Remove pool accessories such as ladders and slides. Also remove the return line fittings and skimmer baskets. The winterizing chemicals can damage the finish on pool accessories, and you want your pool completely covered, with no gaps, to keep out debris, and protect animals and small children from accidentally falling in and getting trapped under the cover. The night before you put on the winter pool cover, shock your pool, following the manufacturer’s instructions. The last step is installing your winter pool cover. Follow the installation directions carefully. Make sure you have a pool cover pump to keep standing water from accumulating on your pool cover. Standing water is heavy, and can damage your pool cover. If all of this sounds a bit complicated, and more than you are willing to do on your own, you may want to hire a professional pool services company to winterize your inground pool. Even if you do all the pool care yourself during the summer, this is one time that hiring a pro is a really good idea. Blowing out the lines can be especially tricky, and failure to do it correctly can result in freeze damage that can be really costly to repair.